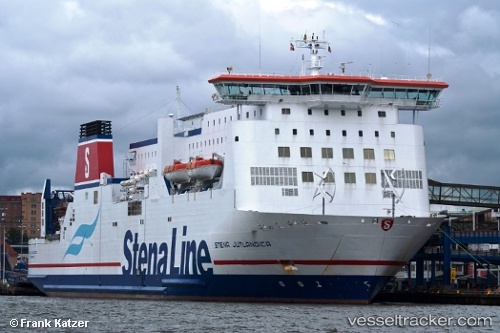 Stena Line’s 1996-built Gothenburg-Frederikshavn ro-pax has completed her first month as battery hybrid vessel and the Swedish operator reports that the experiences so far have exceeded the expectations. Danish ferry operator Stena Line is to use battery technology from Canada's Corvus Energy to retrofit one of its ships. The passenger and freight ferry Jutlandica will have a phased conversion to full electric power. The first stage will see "plug-in hybrid technology that charges with shore power and draws on battery power for bow thrusters and manoeuvering when berthing in port", a statement from Corvus said. However, "the ultimate goal" is for the ship to make three and a half hour Baltic Sea crossing between Sweden and Denmark using only stored energy, the statement added. "We look forward to gathering knowledge about electric operation and continuing to explore the role that battery operation can play as an alternative to traditional fuel," said Per Wimby, project manager at Stena Teknik.